Looking for that Naples Home, search DistinctEstates.com for that perfect piece of Naples real estate. Whether you are looking for waterfront homes or a luxury condominium, search here to find homes for sale or comparable properties. Below is a list of communities in Naples. Click on any of the following links to view the homes that are available in that community. Or, browse all the Naples communities if you prefer. Naples offers some of the most amazing beaches with crystal clear waters. Naples offers homes for sale with amazing water views, ocean access canals, gulf, bay, or beachfront luxury properties. Naples offers many great communities and neighborhoods with great amenities. Some luxury neighborhoods in Naples include: Aqualane Shores, Bay Colony, Bayfront, Connors, Coquina Sands, Moorings, Naples Cay, Old Naples, Park Shore, Pelican Bay, Port Royal, and Vanderbilt Beach. Naples condos offers some of the most amazing oceanfront and waterfront views. Offering some of the best amenities, options, and variety, Naples offers several condo options. Naples condos offer HOA fees which take care of most of or all of the maintenance offering a more care free lifestyle for the owner. 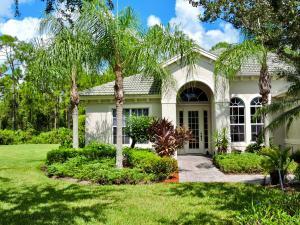 Naples offers some of the nicest country club communities with top notch amenities. These amenities include, golf courses, clubhouses, beach clubs, spas, tennis facilities, social coordinators, concierge services, and so much more. These exclusive country club communities mainly require equity purchase memberships. Some of the finest Naples Country Club communities include Collier’s Reserve, Grey Oaks, Mediterra, Pelican Bay, Pelican Marsh, Port Royal, Quail West, and Tiburon. Looking for Naples Real Estate, contact Distinct Estates to help you find that perfect Naples homes. Whether it be that perfect country club, waterfront condo, or oceanfront escape, we can help you. Information in regards to Naples real estate and homes for sale or other listings may have come from a cooperateive data exchange service. All rights reserved. Information deemed to be reliable but not guaranteed. The data relating to real estate for sale on this website comes in part from a cooperative data exchange program of the multiple listing service (MLS) in which this real estate firm (Broker) participates. Listing broker has attempted to offer accurate data, but buyers are advised to confirm all items. We provide all information about Naples homes for sale and real estate or other listings as is with absolutely no warranties. This site will be monitored for 'scraping' and any use of search facilities of data on the site other than by a consumer looking to purchase real estate, is prohibited. Feel free to contact our agents to find a great Naples specialist.